Truck Insurance Georgia – One Call or Click Away! When you are shopping for commercial truck insurance in Georgia, Florida, Tennessee, Kentucky, Indiana, Ohio, or Michigan 1-800-998-0662 is the only number you need! Pathway Insurance offers commercial truck insurance for any type of company and any type of commercial truck in seven states directly and indirectly by means of our agent referral network seven days per week online. 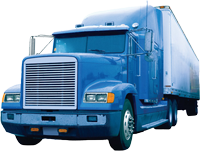 Click on Truck Insurance Georgia to submit your information to our licensed agents online. Or call 800-998-0662 Monday through Friday 9 AM to 5 PM to speak with one of our licensed trucking specialists. Georgia Commercial Truck Insurance for Every Type of Company! 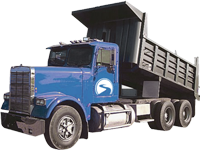 We insure dump trucks, towing operations offering repo work, log trucks, moving trucks of any size, food trucks including refrigeration trucks, owner operators, small trucks for contractors or landscapers, delivery vans and trucks for courier services, cargo insurance coverage, non trucking insurance Georgia, or Georgia bobtail coverage. No matter what type of trucking insurance you need, we can help you find it seven days per week! Click on Georgia Trucking Insurance to submit your information to us online or call 1-800-998-0662 Monday through Friday to speak with a licensed truck specialist. Do Not Assume One-Size-Fits-All for Georgia Trucking Insurance! It’s important to work with a company that specializes in trucking insurance versus a generalist agency that offers everything to everyone. A generalist insurance agency or company may not carry the necessary policies to properly cover your business. In contrast a specialist agency can help you obtain the necessary coverage to protect your company. A licensed agent will work with you to develop an insurance plan based on your needs and desires. 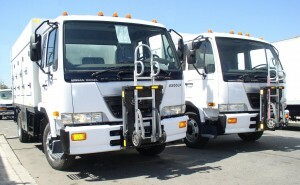 Do You Need Commercial Truck Insurance Today? Not a problem. 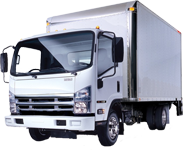 Quotes and coverage are available 7 days per week by means of our online licensed agents when you click commercial truck insurance quotes Georgia. If you would like to speak with one of our licensed agents by phone please call Monday – Friday at 800-998-0662. Certificates are available 7 days per week online by request.